Well written and a real page turner. Although I remember the event as a big historical event, this looked at the details of what was happening at ground zero, the initial efforts of the Chernobyl workers to even understand what had happened, and then the denial, confusion, and working through Soviet bureaucracy and all that entailed. You see human hubris compounded by a dysfunctional government system that had total central control but no record of being honest either up or down the ladder. There are still things that aren't known about what happened, but surprisingly some people and some of nature actually survived the disaster the the nuclear fall out. The book is written as events are unfolding in real time from the point of view of what the various people understood in the moment, not with 60 years of hindsight. 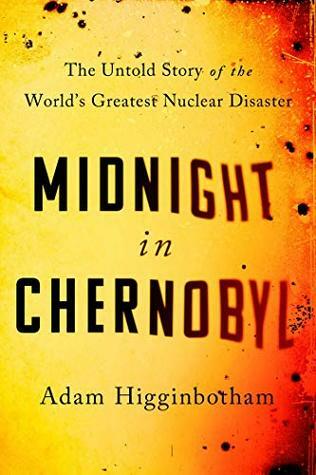 Sign into Goodreads to see if any of your friends have read Midnight in Chernobyl.